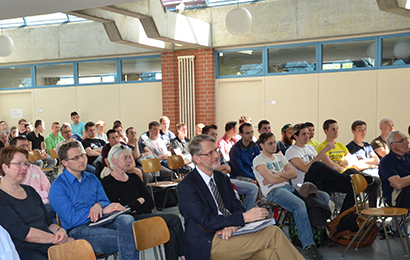 As part of ARNO's junior employee recruitment activities Managing Partner Alien Wolter and Development Director Roland Lötzbeyer visited Fachschule für Holztechnik in Stuttgart (College for Wood Technology) to give the pupils and students and overview on ARNO and the tasks in the project management department. Especially the diversity of ARNO’s product portfolio, industry range and remit left a deep mark and inspired the 80 participants. It was a unique opportunity for ARNO to get in touch with potential junior employees for the project management department. 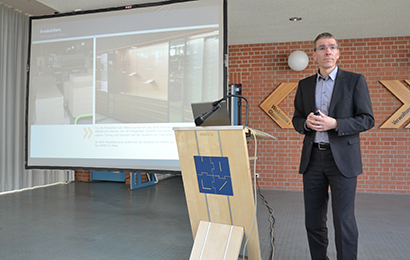 We would like to thank the Fachschule für Holztechnik in Stuttgart for the great collaboration.